Flour recall due to possible E. coli contamination. MINNEAPOLIS, MN -- General Mills is expanding a flour recall issued over a possible link to an E. coli outbreak after four new illnesses were reported. 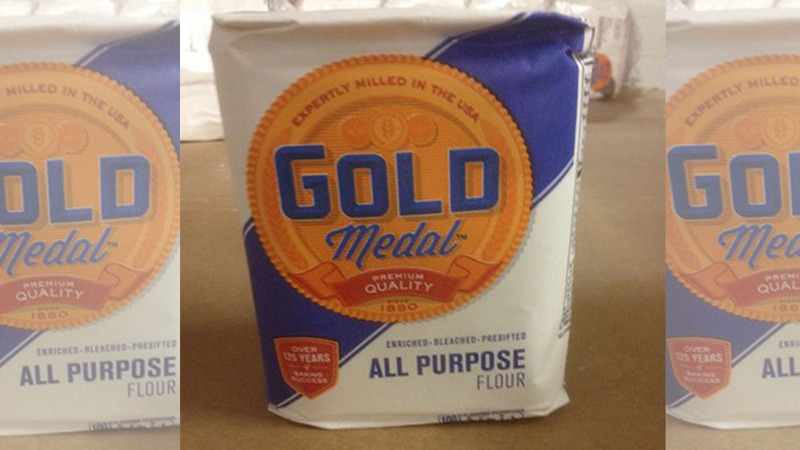 The recall announced Monday covers several varieties of Gold Medal and Signature Kitchens flour produced on certain dates through February 10. The Centers for Disease Control and Prevention has said flour produced at a General Mills plant in Kansas City, Missouri, is a likely source of the outbreak, which so far has sickened 46 people in 21 states. The CDC says 13 have been hospitalized, and one person has developed a type of kidney failure. No deaths have been reported. General Mills says the illnesses have been connected with consumers who ate or handled uncooked dough or ate uncooked batter made with raw flour. For more information on the recall, visit the General Mills website.